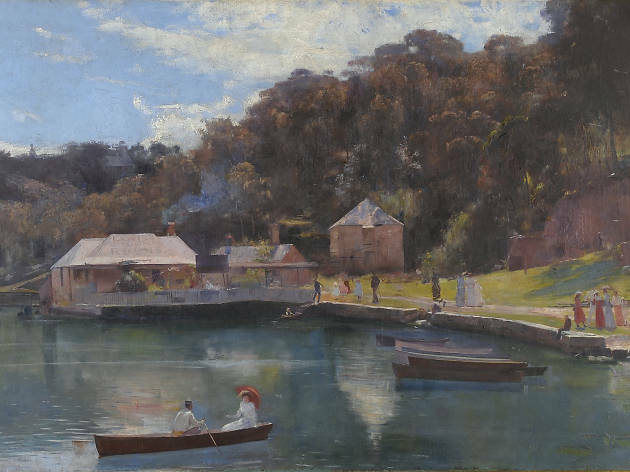 Sydney Harbour was the domain of painters in the 1880s and 1890s, with legendary artists’ camps popping up all around the place. At the time, it was very fashionable in Europe to paint ‘en plein air’ (a fancy art term meaning just 'painting outside'), and Australian artists soon followed suit. Some of the most famous of these camps were in Mosman Bay. Many of Australia’s most celebrated impressionists honed their skills and drew inspiration from what was then largely an extraordinary natural environment. 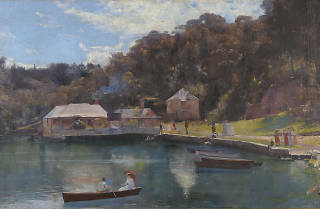 Those artists are now returning to the region as part of a new exhibition at Mosman Art Gallery, featuring the original works of artists such as Tom Roberts, Arthur Streeton and Charles Condor, alongside new pieces by eight contemporary artists, created in response to the original works and their legacy. The artists – Gabrielle Collins, Viola Dominello, Ashley Frost, Michelle Hungerford, Angus Nivison, Elouise Roberts, Hadyn Wilson and Ana Young – all spent time over the last year working in Mosman en plein air, finding their own contemporary takes on the local scene. The exhibition is named after collector Howard Hinton, who died back in 1948 but left behind an impressive and hugely valuable collection of Australian art.